Mafia III might have been handed off to a new studio, but Hangar 13 understand the series’ namesake perfectly. If their newest trailer is anything to go by, they know that the fascination of the mafia lies in that always-uncomfortable juxtaposition of family and murder. Into your open worlds? Here are the finest sandbox games on our fair platform. They’ve given it the Terence Winter HBO show treatment, too – setting the brutality against the best in late ‘60s pop and soul. Mafia III’s Lincoln Clay has not long returned from the Vietnam War when he joins New Orleans’ Black Mob. Though his methods might look the same, there’s no love lost between Clay and the Italian crime syndicate also in residence in the city. The trailer suggests Clay will be given ample motivation to go after other gangsters. 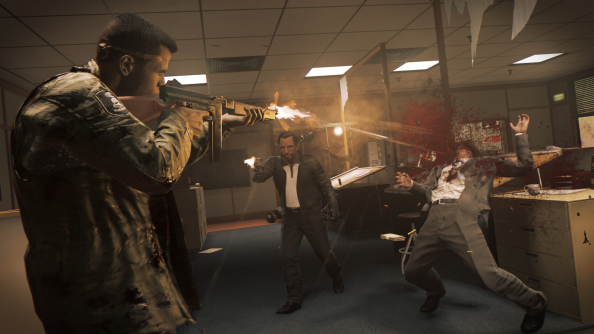 After our Mafia 3 preview last year, however, Joel had concerns about the likeability of Hangar 13’s new protagonist – and “whether we’ll get invested enough in his tale to want to pursue the various activities on offer”. We’ll find out how it all fits together on October 7. How do you like the look of the latest entry in 2K’s landmark open-world series (that isn’t GTA)?